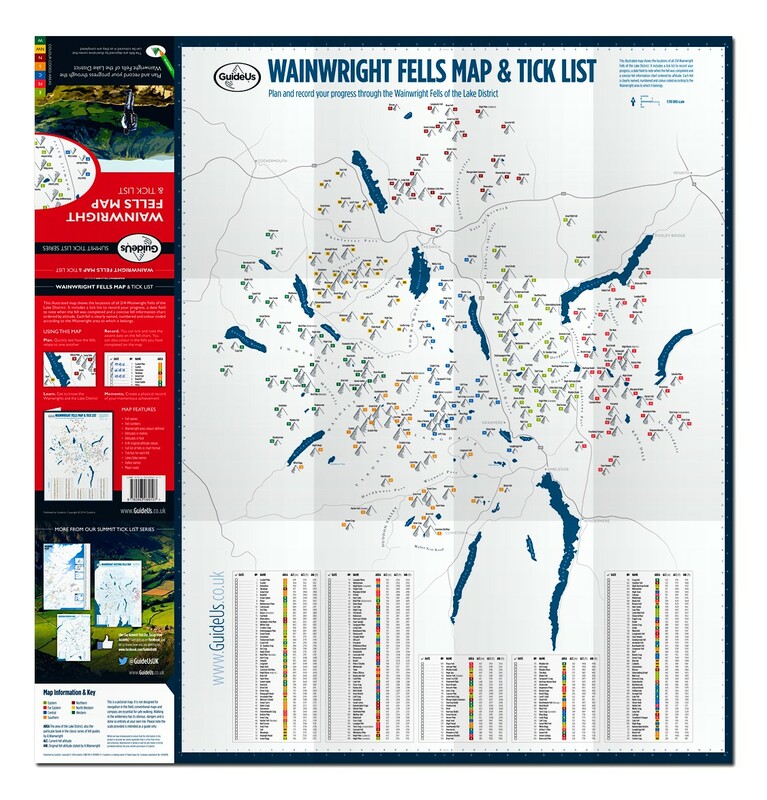 This is a very handy sized folded map of the Wainwright Fells of the Lake District, it shows the locations of all 214 fells and includes a tick list to record your progress, a date field to note when the fell was completed and a concise fell information chart ordered by altitude. Each fell is clearly named, numbered and colour coded according to the Wainwright area to which it belongs. 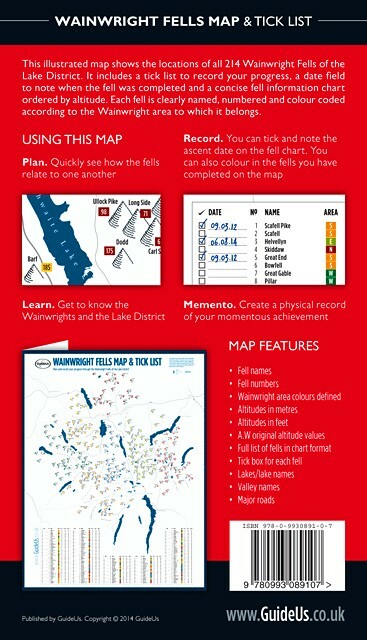 The map has many uses, it can be used in planning, learning, recording progress and in creating a physical record of your momentous achievement. Each fell is drawn at a size relative to the fells actual height. The fells are clearly named, numbered and the relevant Wainwright area colours are prominently defined. 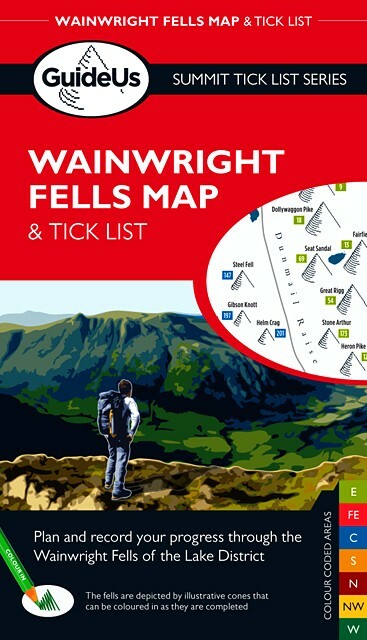 The accompanying Wainwright fell information table is ordered by altitude, each fell has a tick box, date field and information on altitudes. 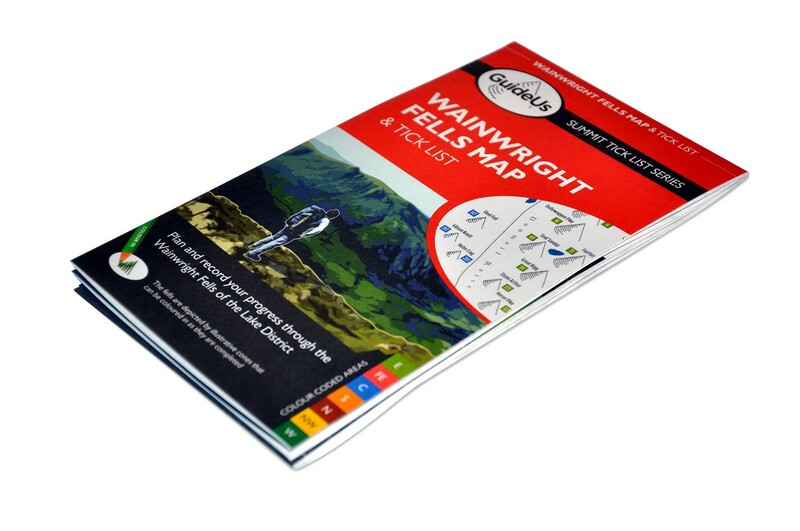 This is a premium quality, litho printed map, the paper we have used is akin to the OS Explorer series. The characteristics of the paper allow it to be drawn upon. This means that the illustrated cone shaped fells can be coloured in as they are completed.